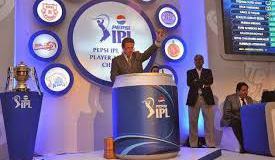 IPL 2015 auction held on 16th February 2015 at ITC Gardenia Hotel, Bangalore. Totally only 67 players are sold in that 44 are Indian other 23 players are overseas. Indian cricketer Yuvraj Singh gets a great price of 16 crores in the auction bid by Delhi Daredevils. Dinesh karthik bought for 10.5 crores by RCB and Sri Lankan Captain Angelo Mathews sold for 7.5 Crores by Delhi. While this time a mysterious spinner K. C. Cariappa 20 year old sold for a big price of 2.40 crore for KKR team. While many teams bought many players and Punjab team has bought very less players than any other team. The list of players are below.